I am a student at the University of South Alabama taking a course in EDM 310, which teaches us how to use and incorporate technology into the classroom. I will be summarizing my visits to your blog through a post in my blog, http://www.reedjessseedm310.blogspot.com, on March 15th. Your post and my class’s learning goals are similar. 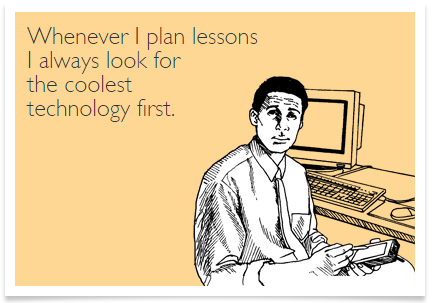 For instance, in my class we are learning to use and successfully implement technology into our future classrooms. TTAL sounds like something that could be useful for me as a future educator. Planning lessons is one of the things that I am scared and nervous about when I do get a job. I am just scared that I won’t be creative enough when planning lessons and TTAL would be great in helping me when I plan lessons. Also, TTAL would aid me in making sure I meeting my learning goals for the kids. Thank you for sharing this information!